I’ve always loved the 4th of July. I love the parade, the fireworks, the gathering together of friends and family. Today my ability to celebrate was a bit subdued because my body was pretty sore, but I was still happy to go to the parade sponsored by the Ashland Chamber of Commerce. I was delighted by several sights: the bald eagle from Wildlife Images, the draft horse with the long tail from the El Tapatio group, the warm response from the crowd for the Ashland Food Project, and the music: from the bagpipers to the marching band, I really loved it all. The theme of this years parade was called “Volunteers, the heart of Ashland.” As I was not sure that I would be up to pie making today, last night I brought an Apple Pie to the Grand Marshall of this year’s Ashland Fourth of July Parade, Walt Hoffbuhr. Walt was selected because of his many years of volunteering in Ashland and the surrounding communities. Walt is the oldest, living OSF volunteer and has been volunteering (in one way or another) since he came to Ashland in 1956. Congratulations Walt! We salute your selflessness and dedication! How strange is that? I hoped that one day I would find the folks that came to my aid yesterday but didn’t even know how to begin to find them… and then I stopped to buy groceries, and there she is, the young lady who witnessed the accident. I am still amazed by this. It is too strange to be true – and yet it is. To me, this is proof that miracles happen. 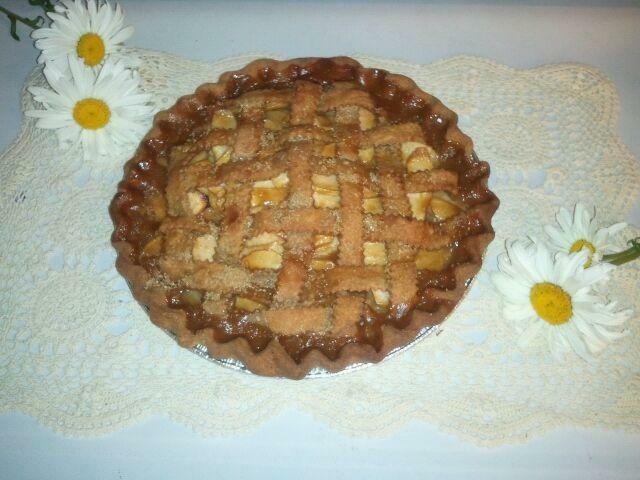 I gave the young lady my email address and told her that I wanted to make her a pie to thank her. She told me that it was unnecessary but I insisted. I am so glad that I have found her – and I am so grateful to her (and her family) for helping me when I was in need. One last thought, Happy Birthday to my Grandma.. if she was still with us, she’d be 97.